Lynn D. Feiger has specialized in representing Colorado employees for four decades. In 2015, she, Justin Plaskov and Brian T. Moore obtained one of the largest punitive damages awards in a race and retaliation case in the United States in Matheson (see here). Ms. Feiger has been acknowledged by her peers as one of the best attorneys in the country for several decades and as a Colorado Super Lawyer. She has been honored with numerous awards, including the Mary Lathrop award for lifetime achievement from the Colorado Women’s Bar Association. Ms. Feiger successfully litigated the first sexual harassment case in the United States. Through legal victories, she has been instrumental in developing many of the employee rights doctrines in Colorado. 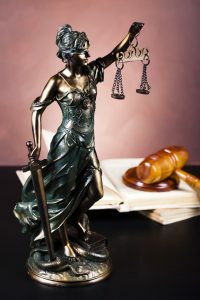 She has trained many of the other plaintiff employment attorneys in Colorado and, throughout her career, has consistently obtained unusually high verdicts and settlements on behalf of employees. Although still a young attorney, Justin Plaskov has acquired extensive experience in representing employees. He works closely with Ms. Feiger to run the employment law department of Lohf Shaiman Jacobs Hyman & Feiger, P.C. Mr. Plaskov was a key part of the Matheson trial victory, and he recently obtained summary judgment (judgment on the pleadings and affidavit evidence prior to trial) in federal court against an employer in a disability case. This is one of the only employee summary judgments in the United States. They are part of a top-rated business law firm. They can bring a wide range of expertise to their representation of executives. For more information, see www.coloradoemployeerights.com, or for legal assistance, contact Denver Employment Attorneys Lynn D. Feiger and Justin Plaskov at www.lohfshaiman.com or 303-753-9000.